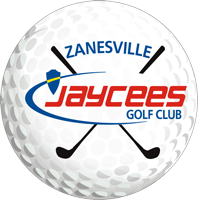 Located minutes off interstate 70 in Zanesville, Ohio sits the areas first public golf course dating back to the 1940's. The Jaycee golf course lies amongst tall willows and a beautiful rolling terrain. Blue grass fairways and small bent grass greens continue to challenge golfers of all ages with any handicap. Accurate tee shots and pin point irons are a must on this short yet demanding masterpiece. Before leaving your Jaycee experience be sure to visit our fully stocked pro shop and enjoy a cold drink at our 19th hole. The Jaycee staff looks forward to making your experience a memorable one.